Abire used to be a local concoction man, a role passed down from his father and his grandfather before that. Concoction men are traditional herbalists in communities, who are called on to determine whether a child could be a spirit. Abire believed in his practice for a long time and was sure that he was doing the right thing, by ridding his community of bad spirits who he and others believed would bring bad luck if they were not sent “back to the bush” where they were believed to have originated from. Abire is now a Community Campaigner and huge advocate for the safety of children. He works with his fellow community members to educate them on children’s rights and the danger of the practices surrounding the Spirit Child Phenomenon. 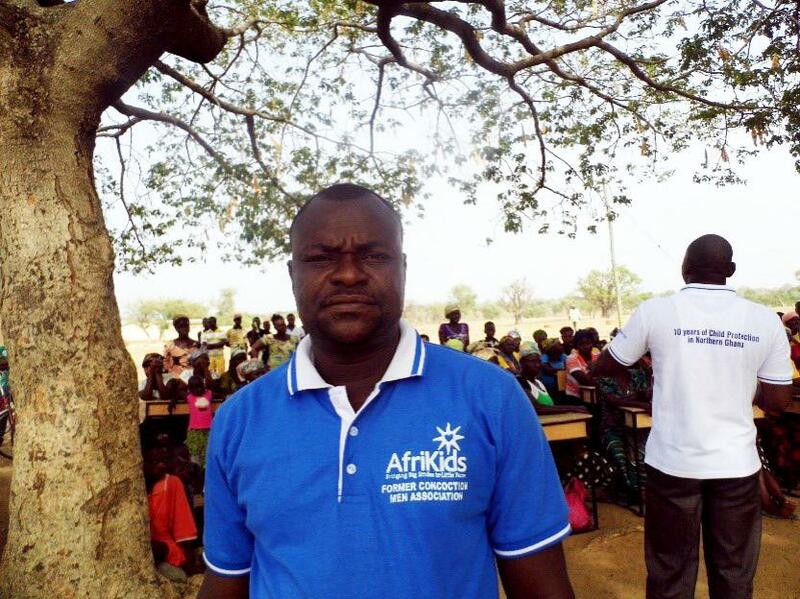 AfriKids have helped him to find an alternative livelihood so that he can continue to support his family. 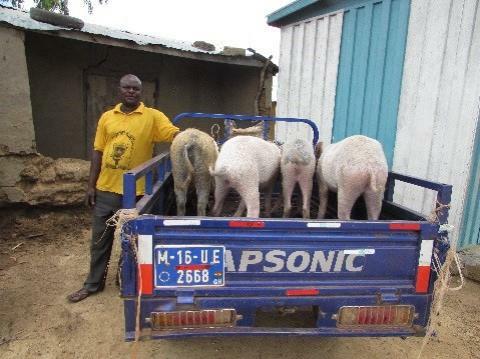 He now works in the meat business selling pork and transporting pigs to Kumasi, the capital of the Ashanti Region in southern Ghana. His business is thriving and he's been able to support all of his children through both junior and senior high school. It is important that the children of former concoction men attend school and gain a quality education to help them towards employment, so they can break the cycle of poverty and build a brighter future for themselves.